Find the ideal Star model for your needs at Electric Cart Company! There’s much to be said about brands who are passionate about their mission and work tirelessly to make sure goals are met and expectations are exceeded. Star Electric Vehicles does that and so much more. 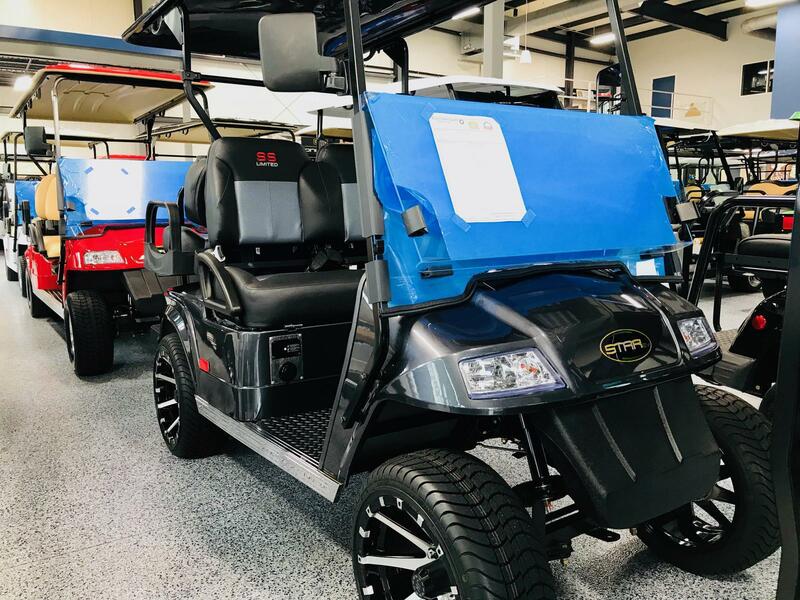 They have a simple but solid mission that consists of providing powerful, safe golf carts that offer maximum performance with each and every ride. 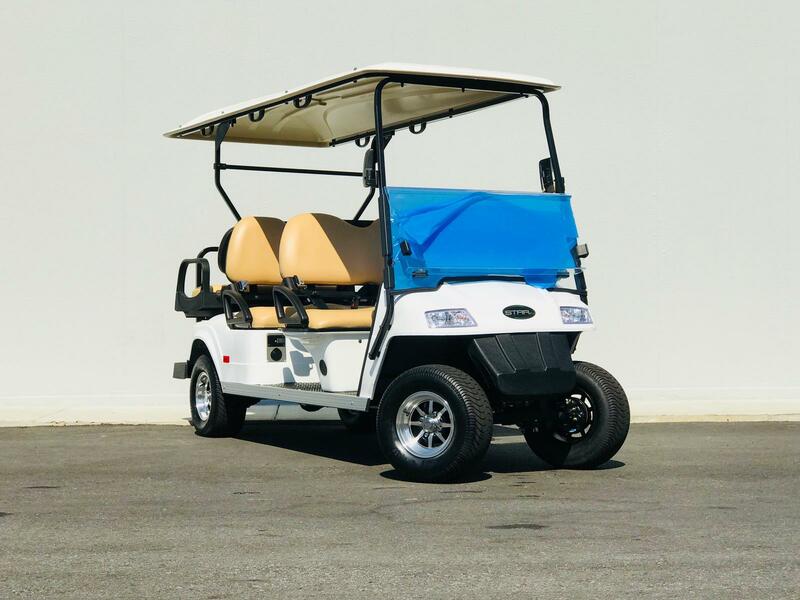 As a matter of fact, Star golf carts are packed with class-leading standard features so everyone benefits. Some of these incredible features include the option to choose the number of passenger seats that comes in your model, unique styling with aluminum chassis, and unbeatable fuel efficiency. 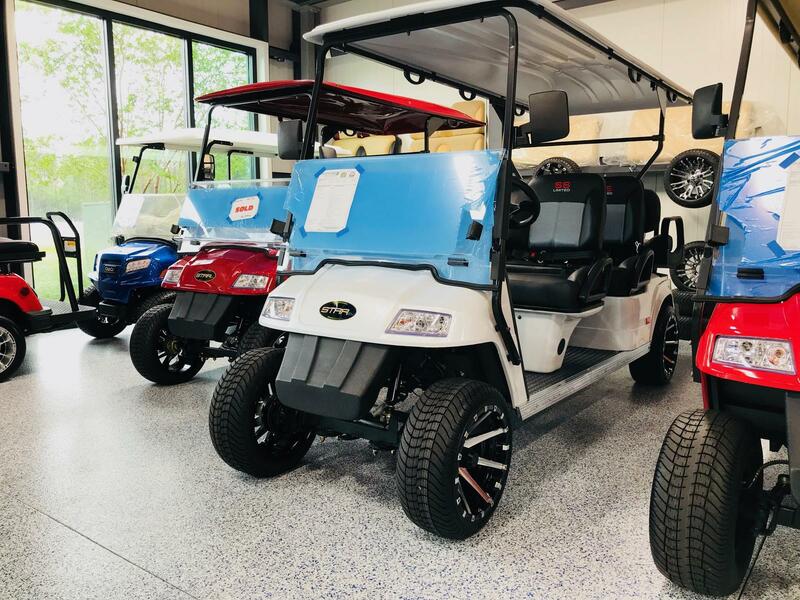 You’ll enjoy the premium comfort that comes in all Star golf cart models, which features high-back seats and a smooth suspension so you’ll have a bump-free riding experience. There are also highly durable features to enjoy like capped frames, reinforced bumpers, and quality bag straps that’ll keep your gear safe. The range on these models is impressive to say the least. Enjoy longer battery life and more playing time. The 36V models can reach up to 40 miles on just one charge and the 48V can reach up to 60. Enjoy your day on the green knowing you’re charged and ready to go. 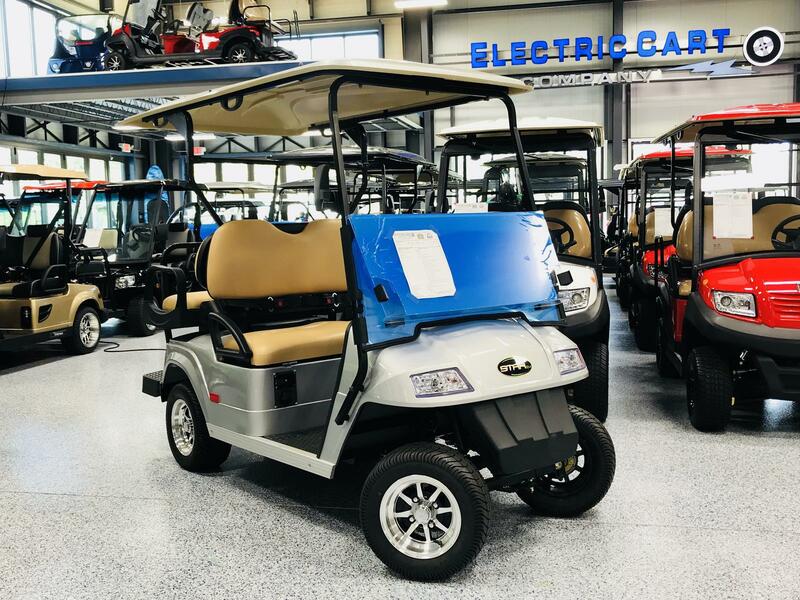 When you’re ready to start browsing Start electric golf carts, stop by Electric Cart Company! We proudly serve Panama City Beach, Destin, Gulf Breeze, Fort Walton Beach, and more! We can assist with rentals, service, or anything else you might need. Please feel free to contact us or stop in today for all of your electric cart needs! Call us at (850) 622-2000 or contact us below.